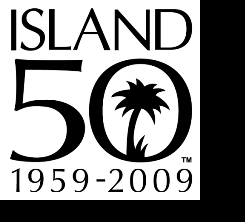 2009 is the 50th anniversary of the founding of Island Records, and label founder Chris Blackwell is to arrange the Island 50 Festival. Blackwell founded Island in Kingston, Jamaica in 1959. Relocating to London in 1962, Blackwell built a diverse and substantial back catalogue of artists and it became the biggest independent record label in history. From the early Jamaican roots in ska and the cutting edge of rock and pop in the late 60s, Island has been responsible for the careers of Bob Marley, Traffic, Toots & The Maytals, Marianne Faithful, and even Paul Weller (among many more). They also licensed the music of mod label favourite Sue Records to be released in the UK under the guidance of Guy Stevens. Blackwell has agreed to oversee a festival planned for May 2009 of live music, cinema, photography and memorabilia involving Island artists past and present. Of the various events that will happen throughout the year expect to see Island 50 Live (a week-long festival of live shows by Island artists past and present at The Shepherds Bush Empire), a TV/Radio documentary by the BBC, an Island 50 book, an exhibition of photos, artwork, and memorabilia, the Island 50 Film Festival (screenings of The Harder They Come, Bob Marley Live At The Lyceum, Rockers, Countryman), as well as album re-issues and new compilations.